Our sponsor JewelMint is giving one lucky reader five pieces from their jewelry collection! To enter: Sign up for JewelMint and leave a comment below. We'll pick the winner at random at 5pm PST on Thursday. Good luck! Completely fun! I would love some pieces. I hope I am the lucky reader! This is a great giveaway! I love the pieces on this site! I love it all! thinking happy thoughts! thank you for having this awesome giveaway!! i'm going to sleep with my fingers crossed tonight. good luck to every single amazing, wonderful, fantastic, delightful person who enters! p.s. if i win, am i allowed to share the love with my best friend? please? pretty please?!?! This is a fantastic giveaway to have! Hope I'm lucky! I'm glad JewelMint is expanding, Cher Coulter is fabulous, and these are cute pieces I would have tons of fun wearing. Amazing! I would love love love to win this. oh wow! how to decide? 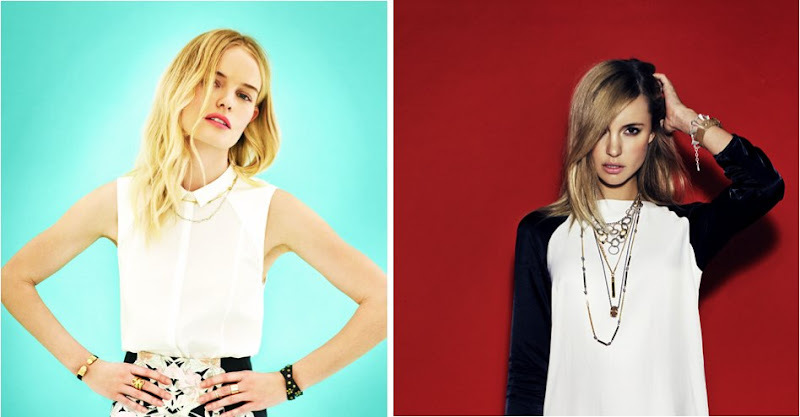 Love the layered look of the necklaces! Yeah! Their stuff is great! Would love to add these to my closet!! i've been dieing to try some of their jewlery! I'm a big fan of your collection. love their jewelry!!! great giveaway opportunity :) thanks! Me please! I love that Dane City Bracelet. love it want it !! I have never won a drawing or anything. Maybe this will be lucky day. What a wonderful giveaway! I love jewelmint! The decision would be super tough! Yea! I would love to win!!! i could definitely use some new sparkly accessories! Their stuff rocks. I would so appreciate some of their pieces! Great giveaway. ahh. i want to win! Awesome giveaway. My jewelry is looking pretty drab right about now. I need to update my jewelry collection! This is a great way to! i love their pieces. and the packaging is divine. Jewelmint is the best, and getting better! Ooh fun! I could use some new jewelry! Just signed up and loving the pieces in my collection! Gosh, love those worlds' end earrings! I am not so crafty, but I am cool. love them. fingers crossed to win. xxo jane. just signed up! love it! Thanks! Already signed up, love their pieces and would love to win this! Yes, please! This is like getting a spring jewelry wardrobe. I can finally be on when your hosting a contest/giveaway!